In Kuwait, we have been blessed as women have many rights and freedoms that other women in the region have been denied. One thing though that we are yet to achieve is being able to pass on our rights to our children and spouses. One campaign that caught my attention is @grayarea_kw, that is trying to create awareness on legal and social issues that pertain to Kuwaiti mothers with non-Kuwaiti children. I am always keen on speaking on equality and how the law plays a part in this, and I have always spoken about expats and their rights. But one thing that I haven’t touched on before is expats with Kuwaiti mothers and how they are treated in their mothers’ country. I hope you find today’s article useful and you get the chance to check out @grayarea_kw. Question: I am marrying a non-Kuwaiti man – I understand there will be consequences in the future with my kids, but is there anything I should be aware of and keep in mind? 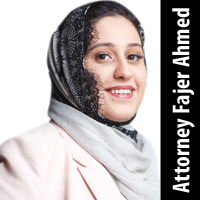 Fajer: There’s so much to think of in such a situation from a legal point of view. Keep in mind too that laws keep changing, and there’s no lawyer or advisor that can predict that far ahead in the future. One thing is for sure though – it is good to research and understand the situation. Your situation will also depend highly on the nationality of your husband and it’s good to know what are the laws and regulations in that country too. Keep in mind that your children will not be treated as expats, but also not as Kuwaitis. They will need a visa to be in Kuwait – this would be under you – if they aren’t working. They will receive a free education, but that’s about it. There will also be issues if you own a house or property in Kuwait that you want to pass on to your children. These are all aspects that should be discussed with your lawyers, and much more. I really do hope that change comes through and that Kuwaiti women are able to pass on their rights to those whom they love and call immediate family.